(Photo courtesy of The Church of Jesus Christ of Latter-day Saints) D. Todd Christofferson speaks to students, faculty and academics at the University of Oxford in England on Thursday, June 15, 2017, about his experiences as a law clerk during the Watergate trials more than 40 years ago. Washington • Only in the nation’s capital, sorely feeling a lack of trust in American institutions and leaders, would a crowd of 400, including several high-profile politicians, pack an auditorium to hear a reporter, a data expert and a Latter-day Saint apostle discuss the Watergate scandal. On Monday, just such a group came to the Newseum, just off the National Mall, to attend “Integrity & Trust: Lessons from Watergate and Today,” organized by the Deseret News, a Salt Lake City-based newspaper owned byThe Church of Jesus Christ of Latter-day Saints. If an odd collection, the panelists were quick to show how their reflections on Watergate echoed one another by calling on their respective expertise — journalism, data and faith. It was through those lenses, too, that Bob Woodward, the legendary Washington Post reporter who broke the Watergate story with Carl Bernstein; Michael Dimock, president of the Pew Research Center; and apostle D. Todd Christofferson, who sports a lengthy legal career, explained the significance of Watergate, and its continued relevance. He said Watergate left him “disappointed but not disillusioned,” with government and drove him to advocate for higher values. He drew a direct line between his involvement in the Watergate investigation and his current work as a faith leader. 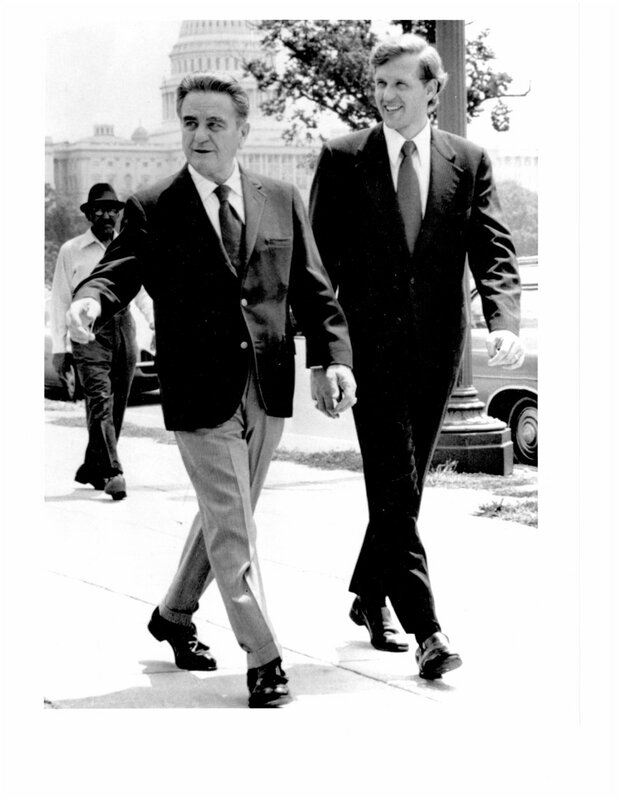 (Photo courtesy of The Church of Jesus Christ of Latter-day Saints) D. Todd Christofferson of the Quorum of the Twelve Apostles with Judge John Sirica in the United States District Court in Washington in the early 1970s. Christofferson was Sirica's law clerk during the Watergate trials. 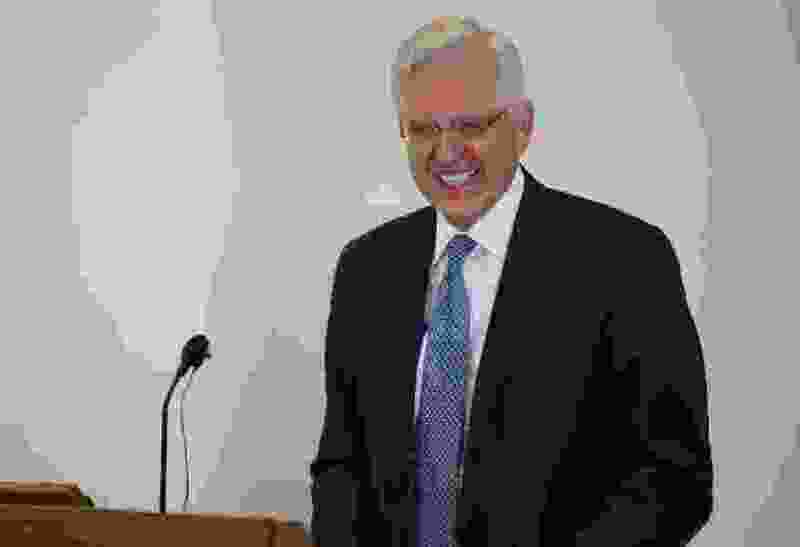 Christofferson responded with a sheepish smile that triggered laughter from the crowd, which included prominent Latter-day Saint Utah politicians such as Republican Sens. Mike Lee and Mitt Romney, and Rep. John Curtis along with Democratic Rep. Ben McAdams. (AP Photo, File) In this May 7, 1973, file photo, reporters Bob Woodward, right, and Carl Bernstein, whose reporting of the Watergate case won them a Pulitzer Prize, sit in the newsroom of The Washington Post.